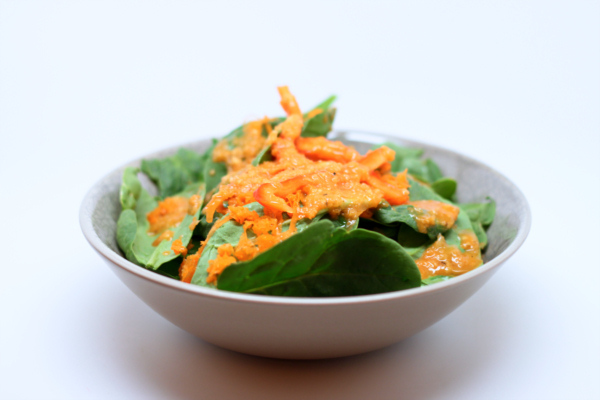 This ginger dressing rivals those served at Japanese steakhouse. Make a batch up and use it on salads and even atop fresh tomatoes as a great side dish to any meal. 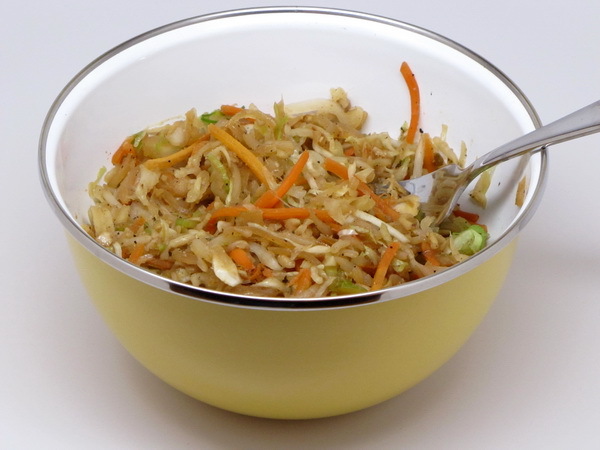 Combine onion, oil, vinegar, ginger, ketchup, soy sauce, garlic, salt and pepper in a blender. Process until combined. 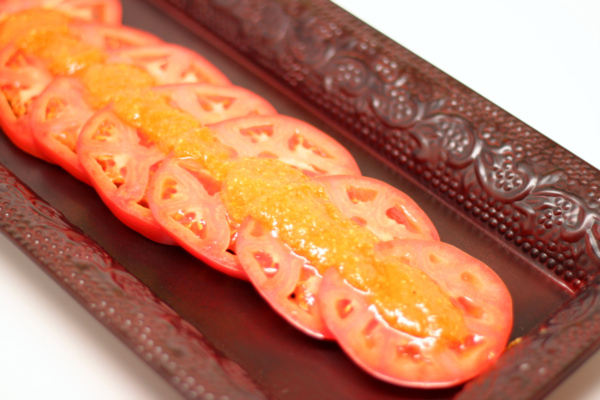 Lay tomato slices on a platter and drizzle with dressing. I just made these again recently – what a great recipe ! 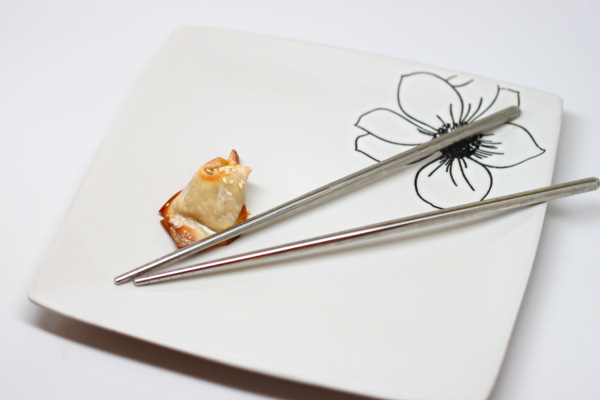 I had the wrong calorie count on them and a reader helped me realize that – but I have updated taking into account the calorie count of the most popular brand of eggroll wrappers. 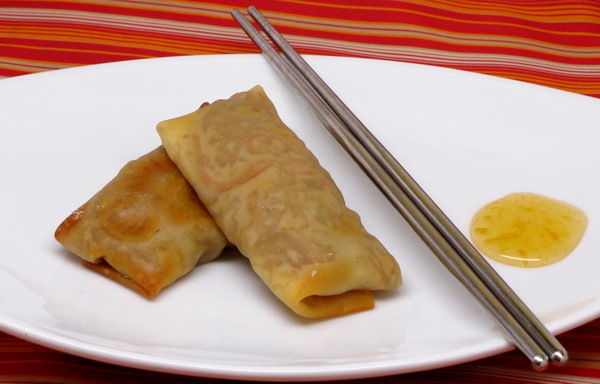 These eggrolls will soon be on your favorites list. 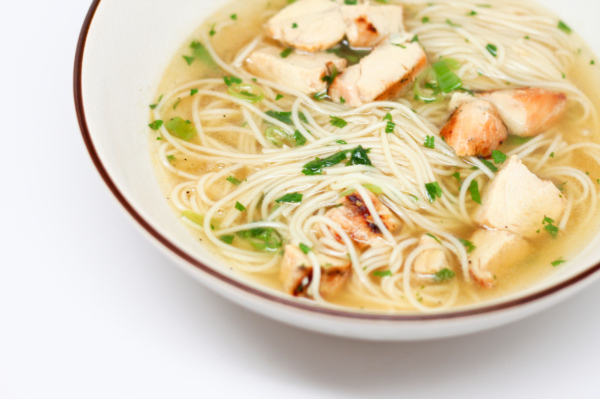 Add 1/4 c duck sauce to the side for just an extra 60 calories. If you’re in the mood for some seafood try adding some cooked popcorn shrimp. 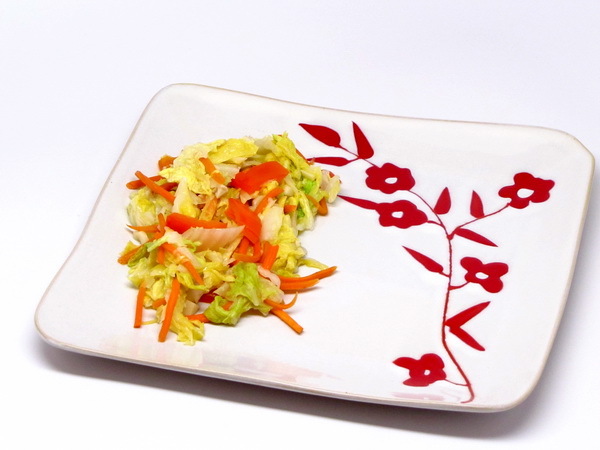 These make a great side dish, stand alone lunch, appetizer – – very, very versatile ! Preheat oven to 350 degrees. Place all the ingredients other than the wrappers in a frying pan sprayed with Pam and cook on medium high heat, stirring often, for 15 minutes or until vegetables are softened a good amount. Spray a cookie sheet with Pam. Work with just a couple of wrappers at a time. Place wrappers on a DRY surface and place 2 spoonfuls of filling on each. Dip your finger in water and moisten all 4 edges of the wrapper. Fold sides in toward the middle. Then roll bottom up and around rolling until you have a fully done roll. And here’s a video I just made so you can see how it’s done – it’s so easy !! Seal the outside edge with a wet finger and place roll on the baking sheet. Finish up the rest of the rolls. Once all the rolls are complete, spray the tops with Pam. Bake 20-25 minutes or until the tops are golden brown. 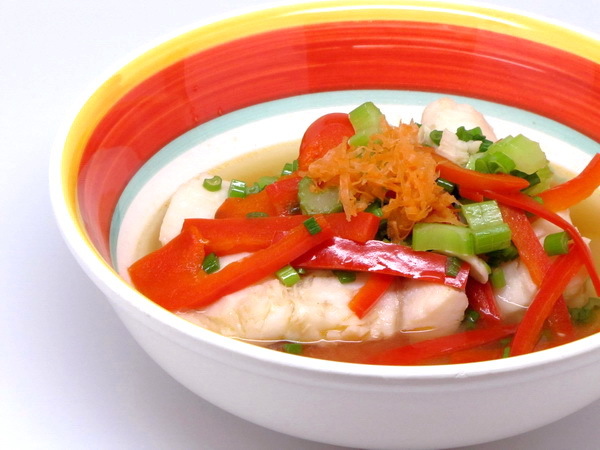 The ginger and lime flavors were very subtle in this dish – you can definitely dial them up if you want a more robust dish. But the subtlety was very nice and when combined with the great scallop flavor, this made a great seafood dish. The rich sauce made with butter and cream is soooo lovely ! 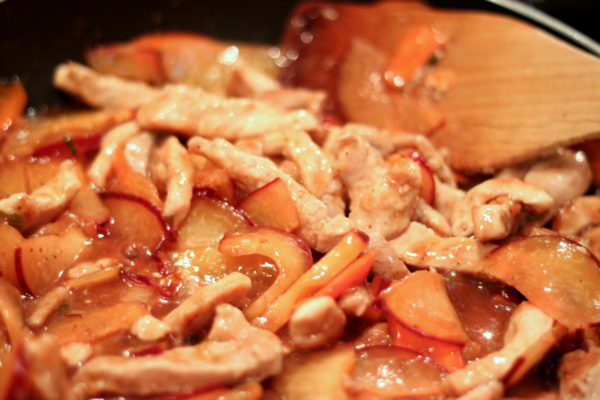 Mix wine, broth, shallots, ginger, and lime peel in a skillet and boil uncovered until reduced by half. Stir in cream and boil until reduced to 3/4 c. Over medium heat add butter and incorporate into sauce. Keep warm. Rinse scallops and pat dry.. Spray scallops and another skillet with Pam. Saute scallops 7 to 10 minutes or until done. 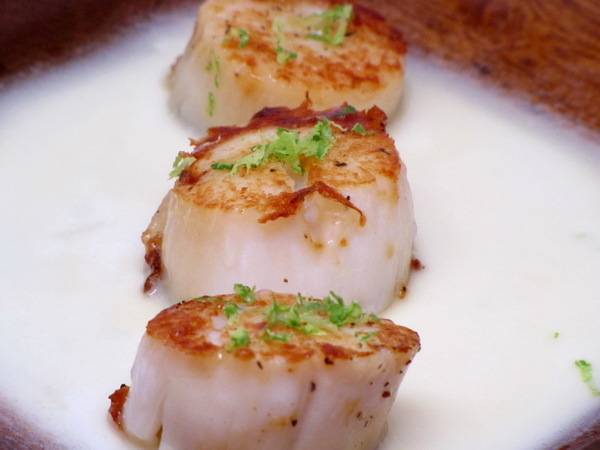 Pour sauce onto a warm platter lay scallops in sauce. 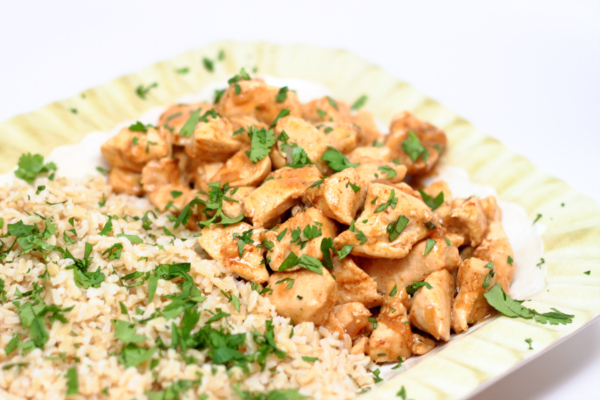 Serve with optional brown rice (add 120 calories for each ½ c rice).